As I mentioned in the post yesterday [press here to read] I have created a new tag, the #TOTD tag where each day I will feature a traveler and a wanderluster by heart. I have decided to do this because I love to read travel stories and I am sure that I am not the only one. 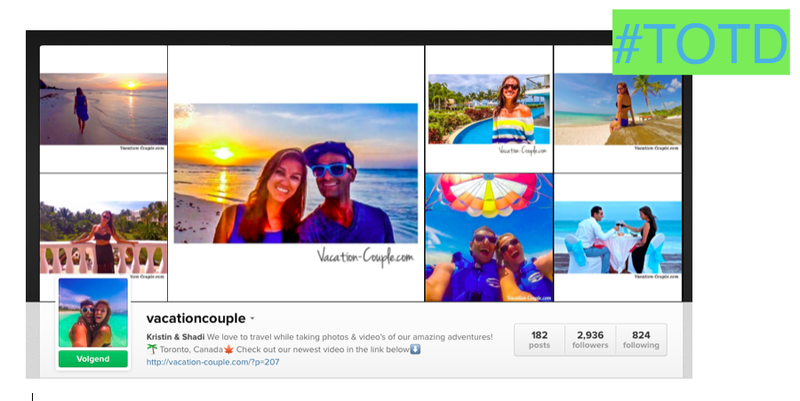 Today I am presenting you the first people featured for my #TOTD tag and I chose to feature Instagram account ‘vacationcouple’. Why not kick off this awesome new project with 2 travelers? : )I have been following their journey for quite some time now and I still love to watch their pictures! Message from the Vacationcouple: We are Kristin and Shadi, the Vacation Couple. We’re a couple in our early thirties who currently reside in Toronto, Ontario. Our passion is finding the best places to travel for vacation and to share our experiences and reviews of resorts with the world. We were honored to be asked by the creator of this website to complete this guest blogger post and hope you enjoy! The five items that we always bring on our travels are our cameras, hats, lots of sunscreen, lots of swimsuits, and our appetites! We always exercise and eat healthy before our travels so we love to indulge while vacationing. We are currently at home in Toronto and we’re excited about our next adventure (in less than a week) travelling to Vegas!!! This will be our first time visiting the city of Sin together and Shadi can’t wait to show me around town. We plan to see the Cirque De Soleil show “Kà”, enjoy our front row seats at the David Copperfield show, ride a gondola, ride the zip-line in Old Vegas and eat the yummiest food possible. We’re not big gamblers or drinkers but we’ll be sure to indulge a little. Our dream destination is Europe. There are so many romantic and beautiful places to discover there. Our list includes Italy, France, Spain and Ireland to name just a few. It’s very hard for us to pick a favorite travel picture! If you’ve seen our Instagram account you know that we love taking pictures of us having fun in beautiful places. Our current favorite is of our romantic dinner at Dreams Tulum in Mexico as you can see in the picture above. There was a wedding photo shoot to our left and a secluded beach to our right…..but we didn’t pay attention to anything but each other. If we could take three celebrities on our travels with us they would be Louis C.K., Kate Upton, and Gordon Ramsey. We would have Louis C.K. for the laughs and intelligent conversations, Kate Upton for her great attitude and gorgeous looks, and Gordon Ramsey for his superb taste in food (and we’d like to think that he’d do restaurant makeover’s along the way). We are most certainly flash packers (luxury travelers)! We love to visit all-inclusive resorts and be pampered. Again, it’s hard to pick our favorite place as we like different resorts for different reasons. 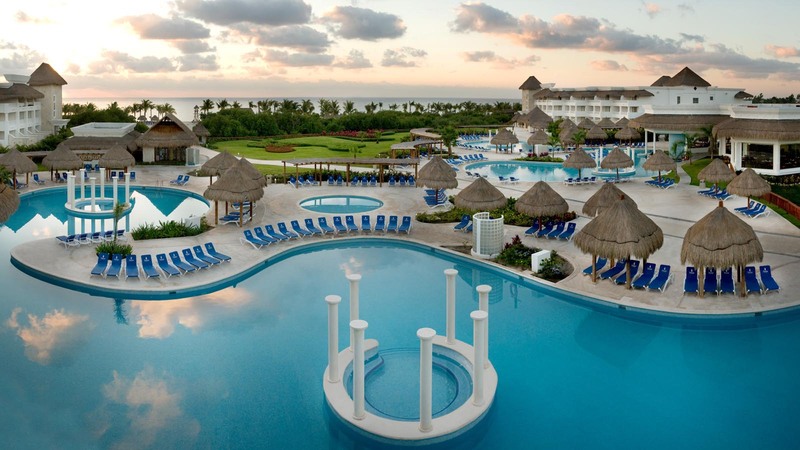 However, our top pick for luxury and entertainment would have to be Now Jade Riviera Cancun in Mexico. 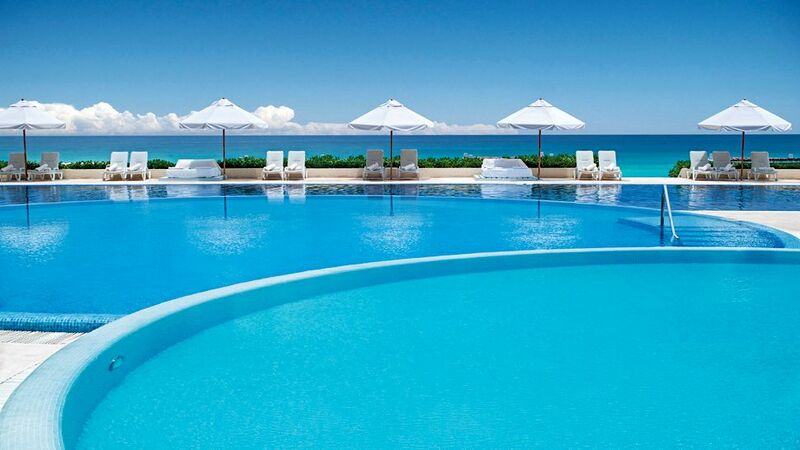 Our top pick for service would be Live Aqua Cancun. (See picture below) And the food at both of these resorts was better than all the rest! Hope you enjoyed reading! Cheers Wanderlusters! If you want to get in touch with me reach out through Instagram! or Twitter! Previous #TOTD, Traveler of the day Tag ! Ahh what a nice message, thanks babe! Ahhh, thanks Jake, they are great aren’t they? Yeah they seem so great 😀 Lovely couple.